Okay, so this character is not technically Asian. 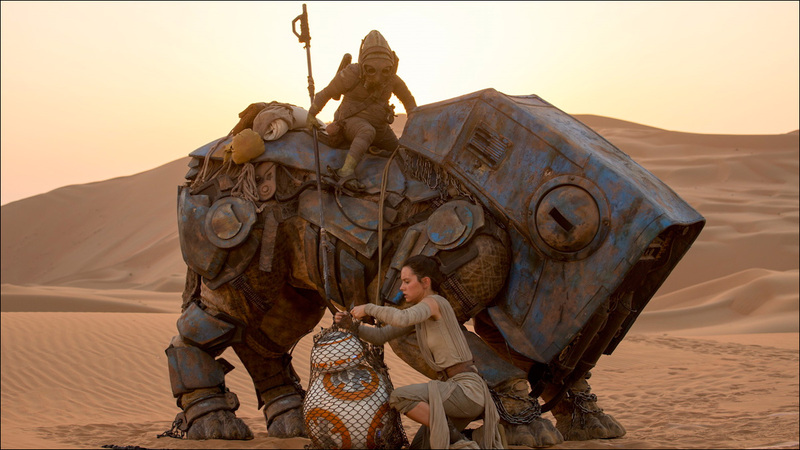 But Teedo, the desert scavenger who nets BB-8 before Rey frees the droid, is played by veteran actor/stuntman Kiran Shah, whose credits include The Hobbit, The Chronicles of Narnia, Raiders of the Lost Ark and Return of the Jedi (he played an Ewok). He is the holder of the Guinness World Record for "shortest professional stuntman currently working in film." 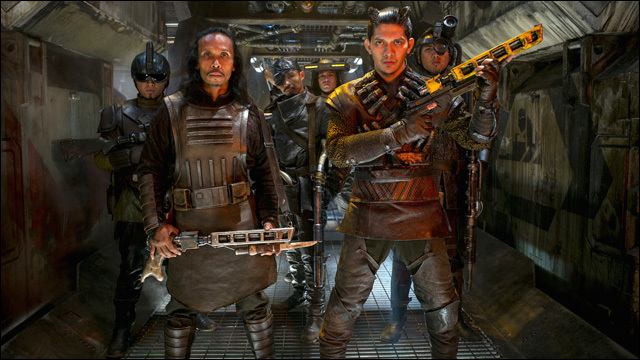 When we catch up with Han Solo, we quickly learn that our favorite intergalactic smuggler has swindled multiple parties, including Tasu Leech and the notorious Kanjiklub gang, played by Yayan Ruhian, Iko Uwais and Cecep Arif Rahman. Action fans will recognize the Indonesian actors from The Raid movies, certifiably two of the most badass films ever made. Their role in Star Wars is small -- waaay underused, if you ask me -- but apparently cool enough to inspire two Kanjiklub figures included with the LEGO Millennium Falcon Building Kit. 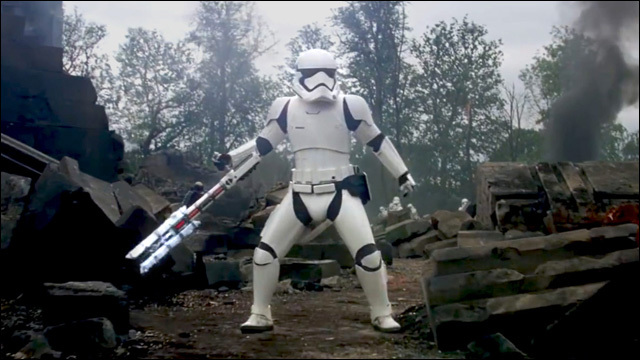 During the First Order's attack Maz's castle, baton-wielding Stormtrooper FN-2199 singles out Finn, calling his former colleague "Traitor!" Affectionately dubbed "TR-8R" by fans for his single line dialogue, his voice is provided by sound editor David Acord. But underneath that armor, spinning the hell out of that baton, is veteran stunt performer Liang Yang, whose credits include Skyfall, Edge of Tomorrow and Game of Thrones. Ken Leung is one of my favorite actors. Known for his roles in Rush Hour, The Sopranos, Lost and The Night Shift, he pops in about halfway through The Force Awakens as Admiral Statura, a senior officer with the Resistance. He helps plan the assault on the First Order's planet-sized superweapon, Starkiller Base. 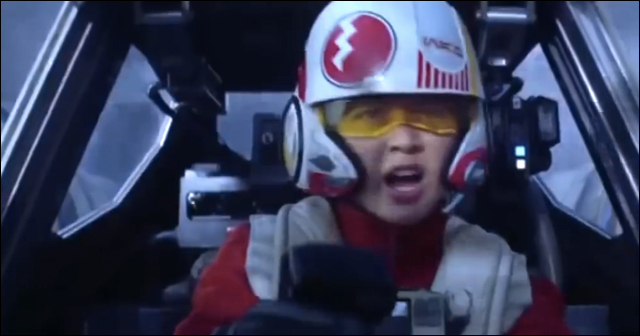 British actress Jessica Henwick, whose credits include Silk and Game of Thrones, appears as asskicking X-wing fighter pilot Jess Pava (or "Testor" as she is also called). Under the call sign Blue Three, she flies alongside Poe Dameron in the Resistance assault on Starkiller Base. Alllll right. This dude is not Asian. 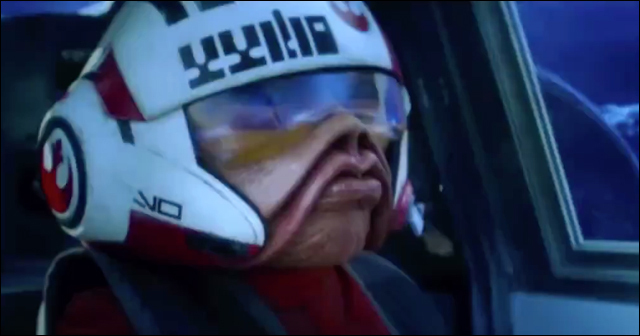 But every time there is a discussion of Asians (and the lack thereof) in the Star Wars saga (shout out to this guy), someone always inevitably brings up Nien Nunb, the Sullustan smuggler who appears in Return of Jedi co-piloting the Millennium Falcon with Lando Calrissian during the Battle of Endor. I don't know if it's the shape of his eyes or the way he talks, but people always want to count him as one of our crew. Anyway, the fan favorite character (played by Mike Quinn, who is not Asian under that puppet) is back in The Force Awakens as part of the Resistance X-wing squadron that attacks Starkiller Base. 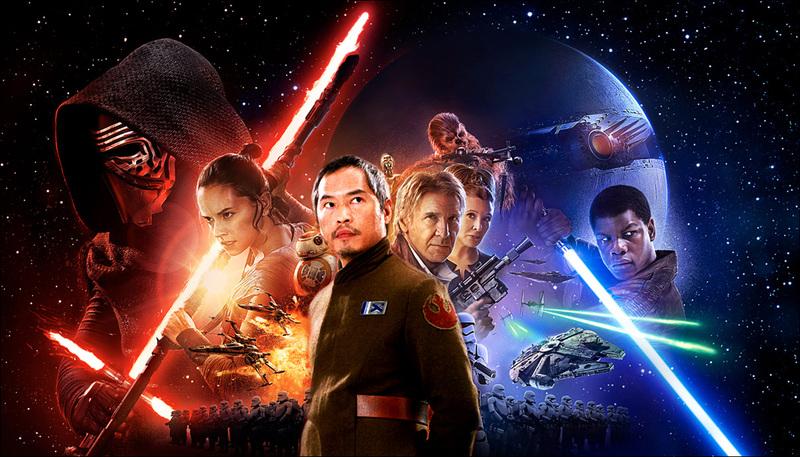 We won't have to wait very long for the next Star Wars fix. 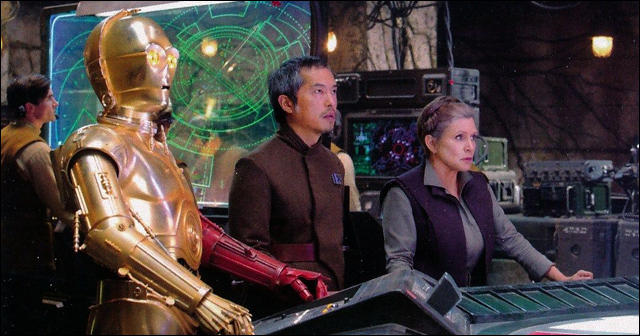 The standalone Star Wars spinoff movie Rogue One, which counts Donnie Yen, Jiang Wen and Riz Ahmed among its cast, will be released next year. Set before the events of A New Hope, the movie tells the story of resistance fighters who unite to steal plans to the dreaded Death Star. 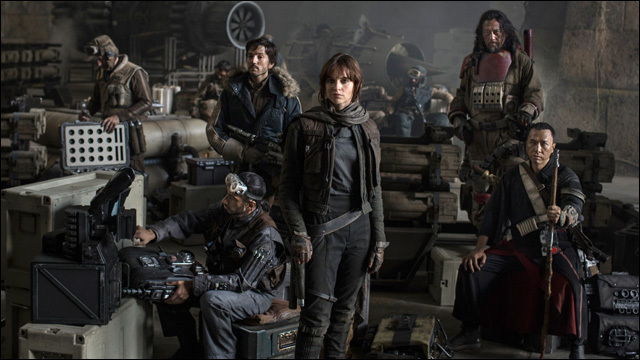 Rogue One opens in theaters on December 16, 2016.